Dale Petrie ’75 will be presented the “2015 Making Democracy Work Award” by the League of Women Voters at their 2015 annual meeting this evening in Crawfordsville. The award recognizes and honors a member of the Crawfordsville community who has been a leader and actively engaged to keep Montgomery County a “strong, fair and vibrant place to live and has demonstrated an ongoing commitment to making democracy work.” Click here to read the news release. Dale is manufacturing manager at Sommer Metalcraft Corporation. He is also active in the community in his church, Crawfordsville School Board and Park & Rec Board, Strawberry Festival, and local museum boards, to name a few of the many organizations he supports. Dale’s wife, Linda, works in the Lilly Library on campus. Jeremy Hartnett ’96, Associate Professor of Classics at Wabash, and Jill Lamberton, Assistant Professor of English at Wabash, will each speak at a series of lectures Walla Walla University on May 20-23 for the WWU “Big Idea Talks” series. Click here for the news release. Jeremy earned his A.B. at Wabash (Classical Civilization) and his M.A. and Ph.D. at the University of Michigan (Classical Art and Archaeology). He is the Anne and Andrew T. Ford Chair in Liberal Arts and the Department Chair in Classics. His interests include Roman Urbanism and Social History; Herculaneum, Pompeii, and the Bay of Naples; Architecture and Urban Theory. Jill is a 1996 graduate of WWU. She earned a M.A. in English Studies (Victorian Literature) at Western Washington University and a Ph.D. in English & Education (Rhetoric & Composition) and a Graduate Certificate in Women’s Studies at the University of Michigan. Jill is the Byron K. Trippet Assistant Professor of English and also teaches Rhetoric courses. Professor Hartnett and Professor Lamberton are a team in real life, too, as spouses living with their family in Crawfordsville. Dr. Hugh S. Collett ’43 was the 2015 commencement speaker and received an honorary bachelor’s degree from Great Basin College in Elko, Nevada. Hugh is a founder of Elko Community College, now GBC, and has been on the GBC advisory board since 1967. He has served and supported the Elko community and higher education in rural Nevada, including teaching classes for LPN’s and EMT’s. Hugh has been devoted to education, serving on the Elko County School Board for 12 years, and he is Emeritus Clinical Professor of Surgery at the University of Nevada, Reno. Hugh graduated from Crawfordsville High School and then Wabash College in 1943. He earned his M.D. from Northwestern University School of Medicine and completed surgical training at the University of Chicago. He owned a surgical practice in Elko for 30 years until he retired in 1984. Parker Sawyers ’05 will play President Barack Obama in a movie about the Obama’s first date in Chicago. Click here to read more about the movie, which begins shooting in August. Parker has worked as a model, musician, and actor. He also worked for Purdue University President Mitch Daniels, the then-Republican governor of Indiana, before moving into acting. 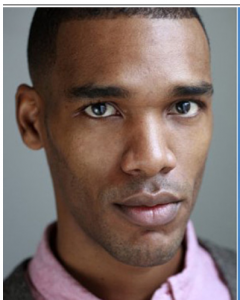 Parker lives with his family in West London. Steve Goldsmith’68 and Bill Hudnut, both former mayors of Indianapolis, teamed up with some advice for the next mayor of Indianapolis. Steve was mayor from 1992-2000 and Bill Hudnut was mayor from 1976-1992. Click here to read their advice in this week’s IBJ. Indiana Biosciences Research Institute has named longtime pharmaceutical executive David Broecker ’83 as CEO. He has been the president and COO of IBRI during the past year. Click here to read the news release. After Wabash, Dave earned master’s degree in Engineering at M.I.T. and an MBA at the University of Chicago. Dave has had a career in medical devices and pharmaceuticals. He returned to Indianapolis in 2009 and has been active in helping to launch startups and a medical laboratory in the Indianapolis area. 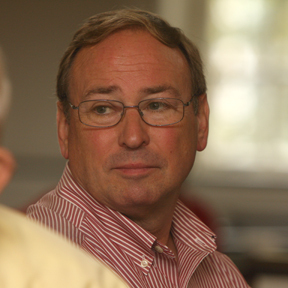 Dave is member of the Wabash College Board of Trustees. 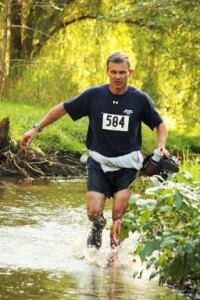 Greg Redding ’88 has participated in seven, finished in five, 100-mile ultramarathons, all since 2009! That doesn’t count to standard marathons, mini-, half- or “mini-ultras” he has run, too. For himself as a runner, the mind-body relationship is important, seeing each race as both a physical endeavor and a mental endeavor. In a recent interview, he stated, “It’s a crazy thing to think about in an abstract way. It’s not the distance (of the race) that bothers me, it’s the amount of time.” Click here for a link to a past online running story written by Greg. Greg is Professor of German at Wabash. He earned his MA and PhD in German Literature at the University of Cincinnati. 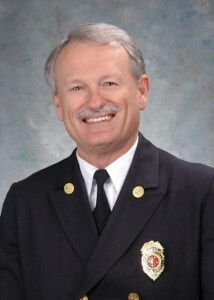 Ken Gilliam ’74 will retire as Noblesville’s Fire Chief on May 22. Gilliam began working for the Noblesville (IN) Fire Department in 1974 and has served two stints as fire chief, 1993-1995 and 2004-2015. A Noblesville native, Ken began his firefighting career during his final semester at Wabash. Click here to read the news story. Noblesville Fire Chief Ken Gilliam’s retirement open house will be on May 22 at Noblesville Fire Station No. 71. 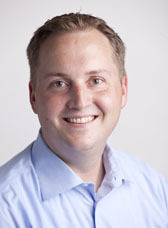 Joe Trebley ’01 is the Head of Startup Support and Promotion at the Indiana University Research and Technology Corporation. IU’s SpinUp program was founded in 2011 to help university professors and inventors start corporate entities and apply for NIH grants. SpinUp has launched 24 life sciences companies by providing administration support and introducing investors and management teams, six of which have gone on to win NIH small business grants. Click here to read IBJ’s FOCUS Life Sciences featured article this week, including Joe’s comments at the end of the article. A Chemistry major at Wabash, Joe went on to earn a PhD from Purdue University in Medicinal Chemistry and Molecular Pharmacology, and worked at the Purdue Research Foundation before joining IU. Michael Stayton ’68 has been elected Chairman of the Board of Directors of Building Tomorrow, Inc. an Indianapolis-based organization whose mission is to construct enough primary schools in East Africa so each child may have a quality environment in which to learn. In March 2014, Mike retired as founder, President & CEO of the United States Infrastructure Corporation (USIC) after six years. 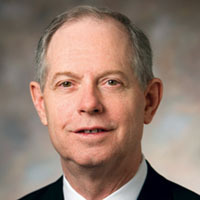 In 2008, he was appointed to the board of the new Indianapolis Airport Authority and was president until resigning in 2011. Mike has held several key executive positions with utility infrastructure groups which service utility and government clients, and was on a 5-year diplomatic appointment abroad as COO for the United Nations World Food Programme. After Wabash, Mike earned a master’s degree in International Business from the George Washington University.